Levantine PD was honored to work on the Next Level program in India. Levantine PD partners with the University of North Carolina’s Department of Music to run the new State Department hip hop diplomacy program Next Level. The Next Level program sends teams of hip hop artist-educators to 7 different countries around the world to conduct programs on Emceeing, DJing, Beatmaking and Breakdancing. The program takes place in India, Bangladesh, Serbia, Bosnia, Montenegro, Senegal and Zimbabwe. The first program in India recently concluded. In sweltering 105 degree heat, the Next Level team taught the students of St. Karen’s to dance, to rhyme, to DJ and to make beats. They nurtured these incredible students on how to use hip hop music and dance as a means to express themselves, and to use this art form to communicate about the world around them. They taught leadership; they taught about taking ownership in your school, in your community and in your world. Looking back as the program concludes, it is astounding all that the NL Team India was able to accomplish. 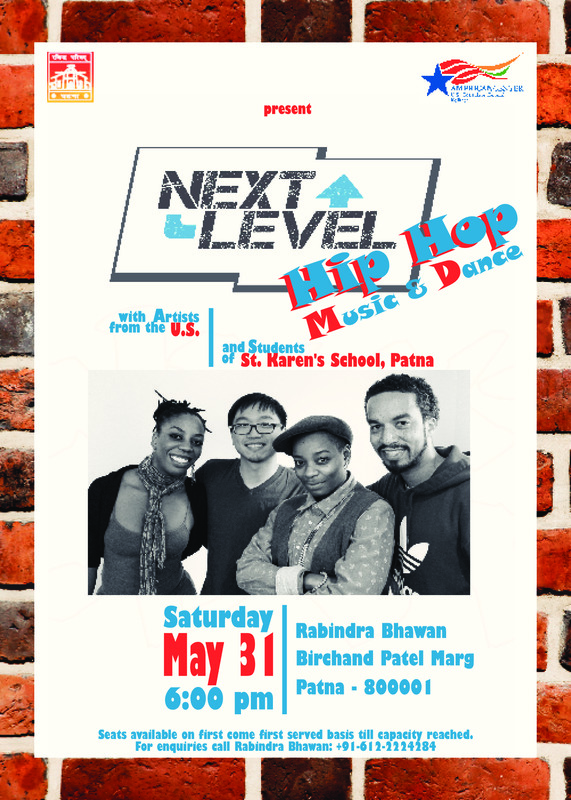 They ran the very first NL Hip Hop Academy in Patna; they worked with St. Karen’s students to create Public Service Announcements related to issues affecting their community and their world; they created hip hop theater to share these PSAs at the final show; they collaborated with local classic Indian music and dance to create a synergy between the two styles; then they put it all together in a giant gala performance. And that was just Patna. Then NL Team India went to Calcutta. In the City of Banyans, NL Team India put on incredible hip hop masterclasses for Calcutta’s B-Boys and B-Girls. And they connected with the incredible OneBeat alum Malabika and her musical partner Sanjoy to mix Hip Hop with Baul- Bengali folk, and had Calcutta amazed at this fusion.